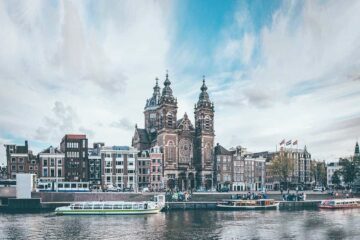 Combine a great European city break with one of the most impressive and gorgeous hostels you’ll ever stay in. Welcome to The Passenger Hostel in Porto. 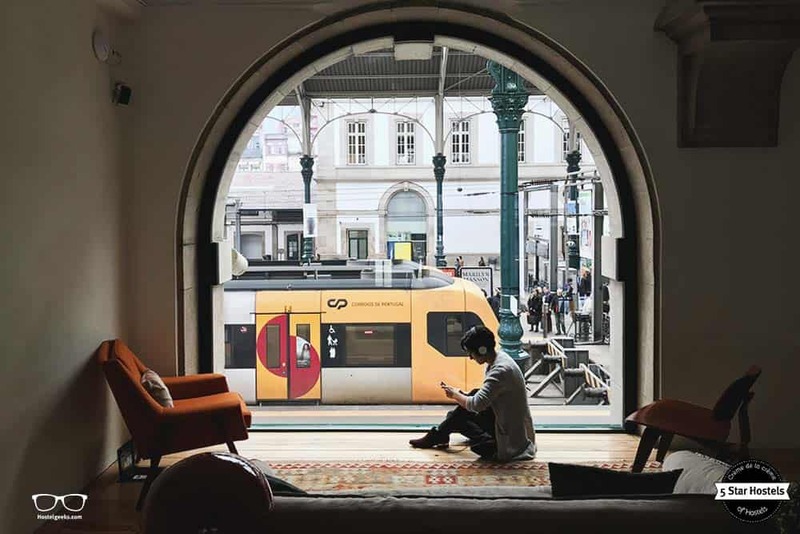 Located in one of the most amazing train stations in the world, Sao Bento Station, The Passenger takes hosteling in Portugal and Europe to a new level. We visited and brought you back thousands of photos, a big guide to Porto and your new favorite hostel. How to book The Passenger Hostel? 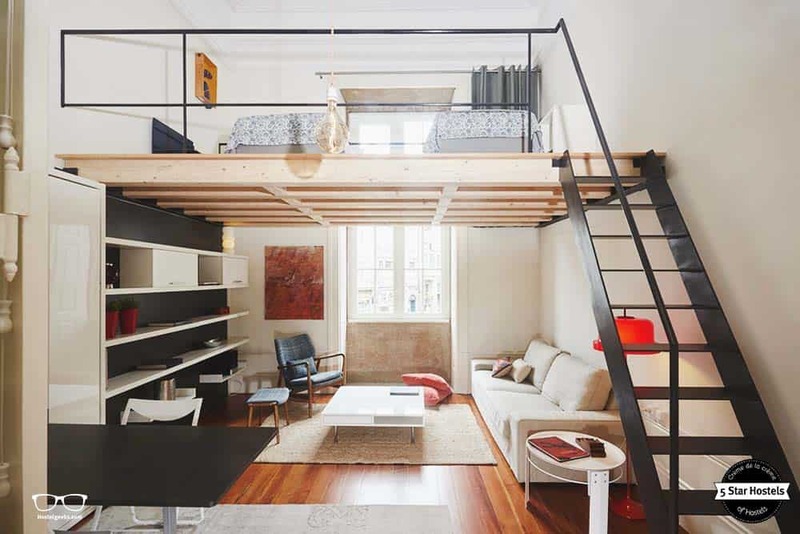 Congrats, you just found the coolest hostel in Porto. Now, what about your booking? Check out the official website of The Passenger Hostel. Why? There you can get the lowest prices! 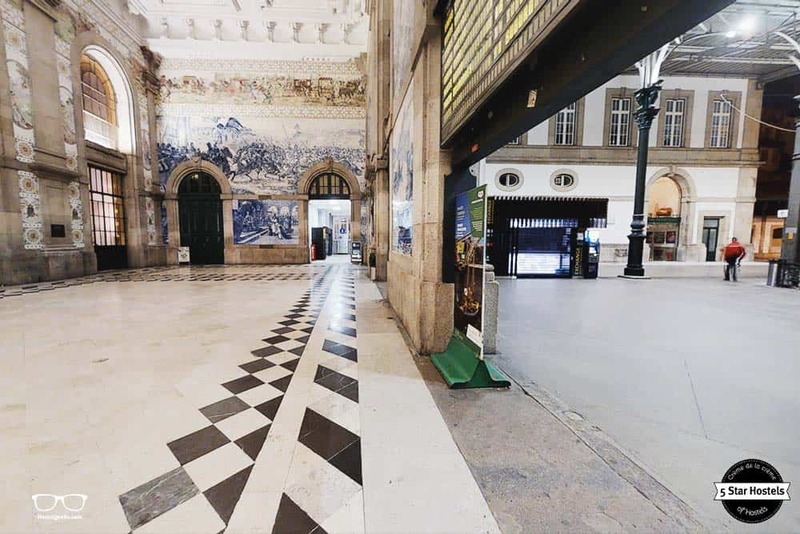 That would be downtown, literally inside the gorgeous main train station, Sao Bento. 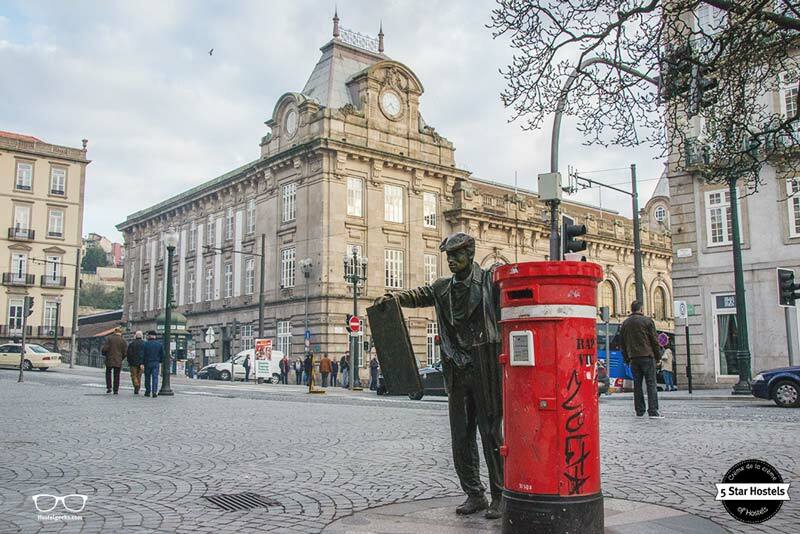 The train station itself is one of the main sights in Porto due to its beauty and history. 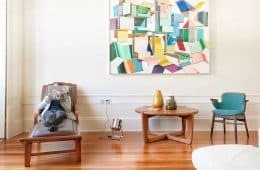 This is your unique chance to stay in a historical building in Porto. 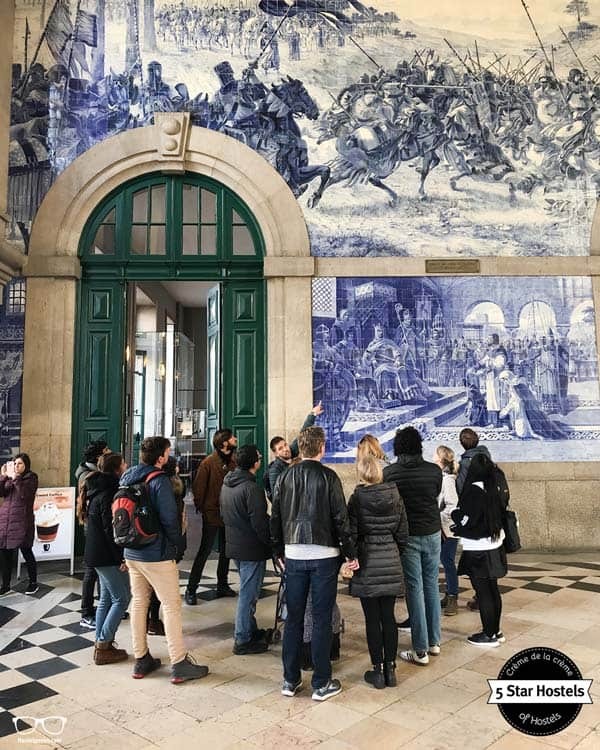 Make sure you take your time to observe the station’s twenty thousand painted tiles, which depict some of Portugal’s classic landmarks and explain many changes in Portuguese society. When we say that the hostel is “literally inside” the train station, it’s true! You get off the train and can walk right into the hostel’s lounge. There’s no need to leave the train station. Since you’re right in the heart of the city, you have everything within easy walking distance. Plenty of great restaurants are dotted around the hostel, and fun bars are a stone’s throw away. The famous Livreria Lello, nicknamed the Harry Potter book shop, is just a 5-minute walk away. You can also be on the Dom Luis I bridge in 5 minutes, as well as the riverbank. There is no better location in Porto, it’s perfect! Free walking tours start just 100 meters away from the Passenger Hostel. Check out the Portowalkers to find the schedule. Remember, free walking tours are tip-based, so don’t forget to thank your guide with some € at the end. We are so excited to share this beautiful hostel with you. 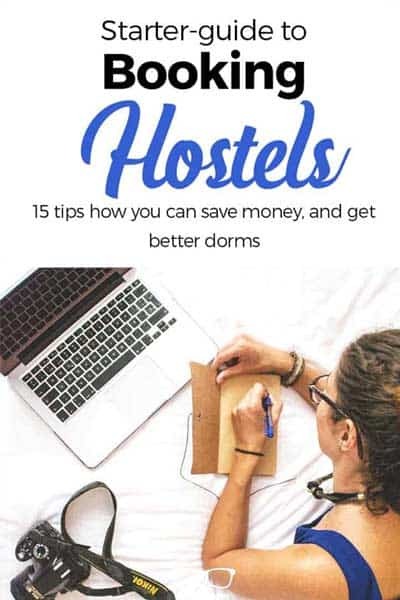 If you’re still doubting whether the whole hostel thing is for you, just keep reading and make The Passenger your first hostel experience. The Passenger Hostel ticks all the boxes of an outstanding hostel. 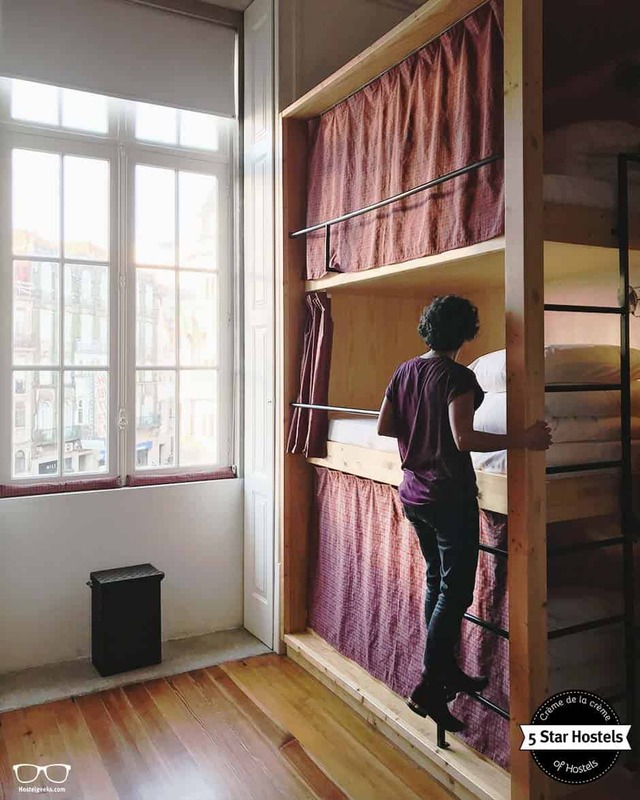 Hot off the press: complete guide to the best hostels in Porto, Portugal. It stands out from all the great hostels in Porto for lots of reasons. It starts with eye-popping design that the photos don’t even do justice, and continues with the great team that gives this place its soul. It ends with the “good vibes only” feeling. This is the full review of The Passenger Hostel. 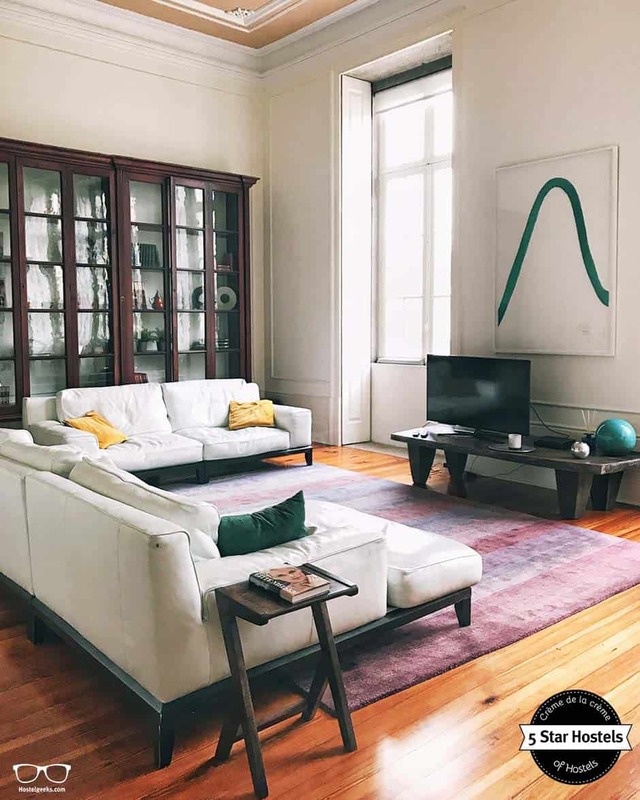 We’ll tell you all about the vibes, the location, what to expect from your stay and finally all the best things to do in Porto. 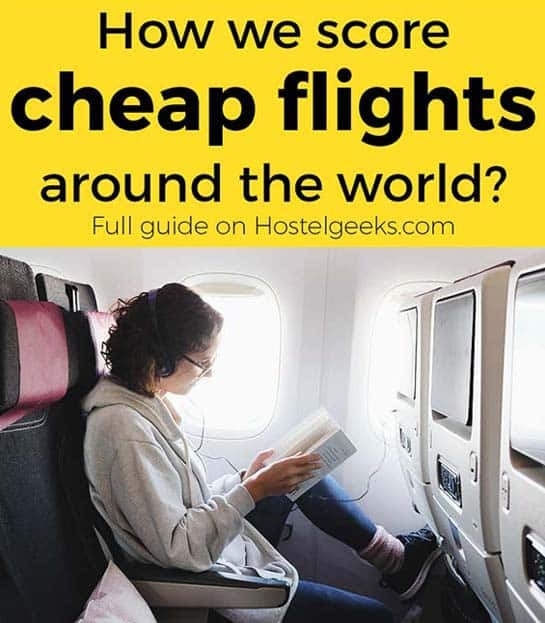 We are Hostelgeeks, the #1 brand for premium hostels worldwide. 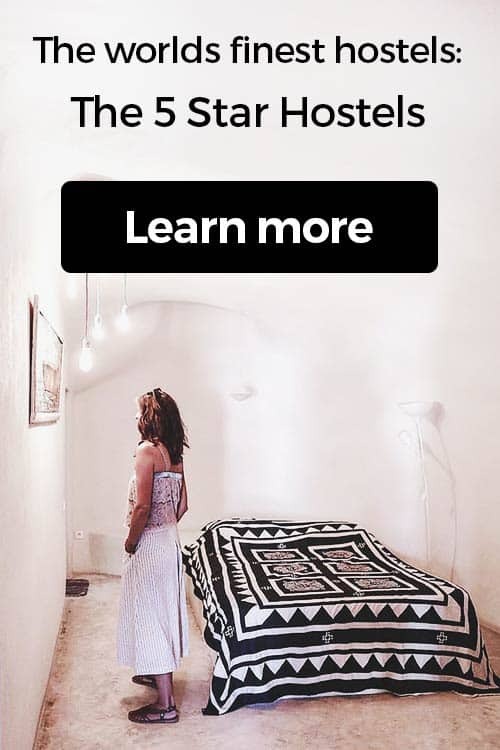 Find the best hostels in the world just a click away – the 5 Star Hostels. See all 5 Star Hostels in Europe here. We also have a Porto Guide with our best secrets of the city. Find our 11 hidden gems in Porto here. Follow our footsteps through this hostel accommodation. There’s so much to discover! When was the last time you had a Picasso in your bathroom? When have you enjoyed the luxury of Dyson products in any accommodation? “This hostel was by far the best one I’ve ever stayed it. I mean, even the bathrooms had Dyson hairdryers,” said Yalin, a guest at the Passenger and now friend of Hostelgeeks. Forget about packing your bulky hair dryer – you’ll have a Dyson at the Passenger! The Passenger Hostel created a new level of luxury hosteling. 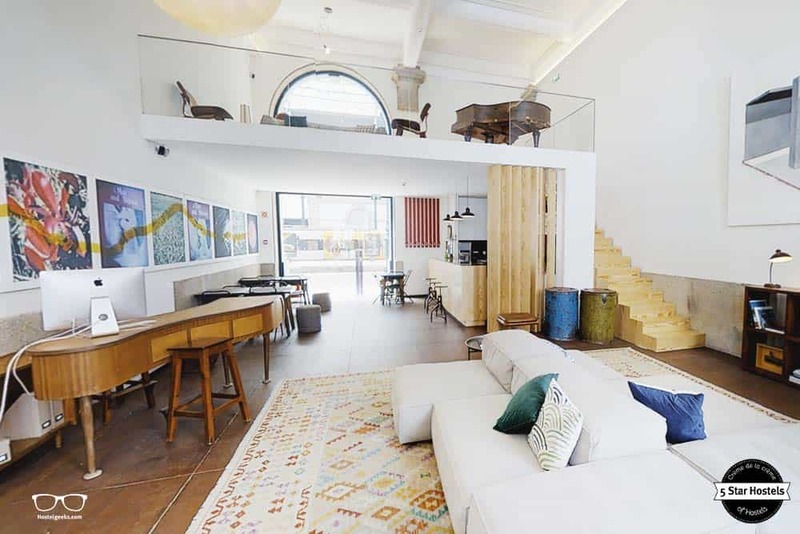 Its combination of modern interior design and high ceilings make it stand out. Every room, whether it’s a sleeping area or common area, has been carefully designed. The rooms are not only beautiful designed, but are also very functional. 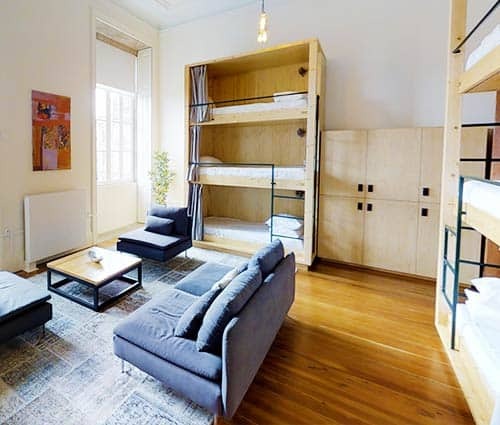 Furniture that initially looks like a wardrobe or a table actually converts to an extra bed in the private rooms. What a great way to take advantage of the space! Their common area on the first floor is the biggest proof of how design affects the hostel lifestyle. 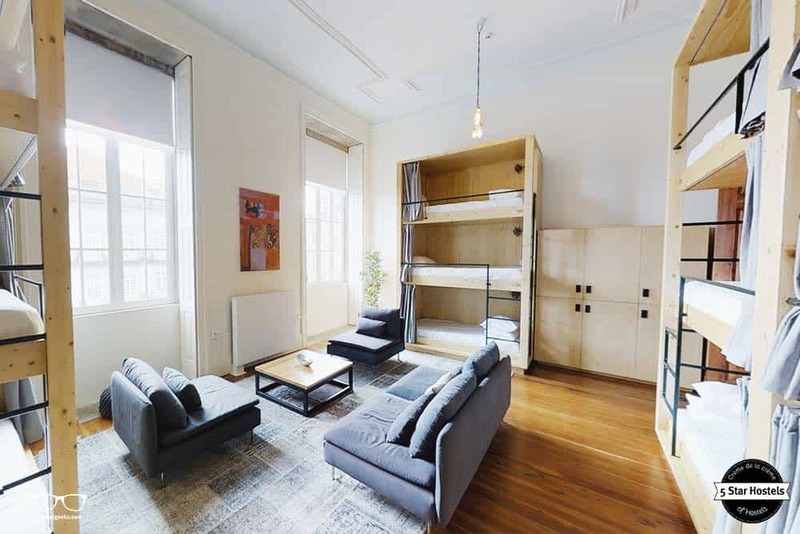 Here, you can hang out on the designer sofas and watch the FC Porto match on a big screen, or sit down with your travel mates and play some hostel games. Talking about games, hostel games are a perfect way to mingle. You can always bring your own games or just ask the hostel reception for games. 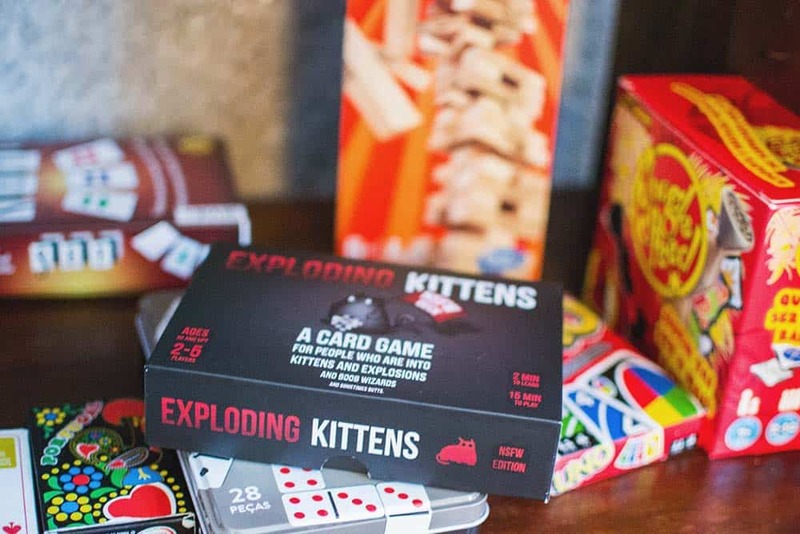 Thanks to our friend Jordi we started to play Exploding Kittens. A super fun game and great to connect! 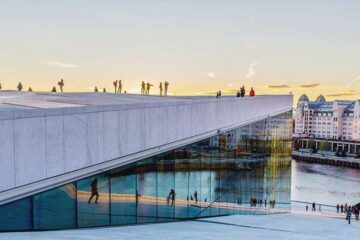 At the same time, the open space on the top floor might be best spot to take your Instagram photos, or simply relax and do some people watching. Have a look on the instagram shots we took at the Passenger. We also took a few .gifs, celebrating the 5 Star Hostel Award with guests and the Passenger team. Back to the hostel: You can observe the train station’s daily life right from the sofa. Believe us, people watching will hook you more than any TV program. Relax and enjoy the high speed WiFi, order a drink at the bar counter or, if you dare, play the piano or the guitar. The acoustics, due to the high ceilings, are pretty amazing. 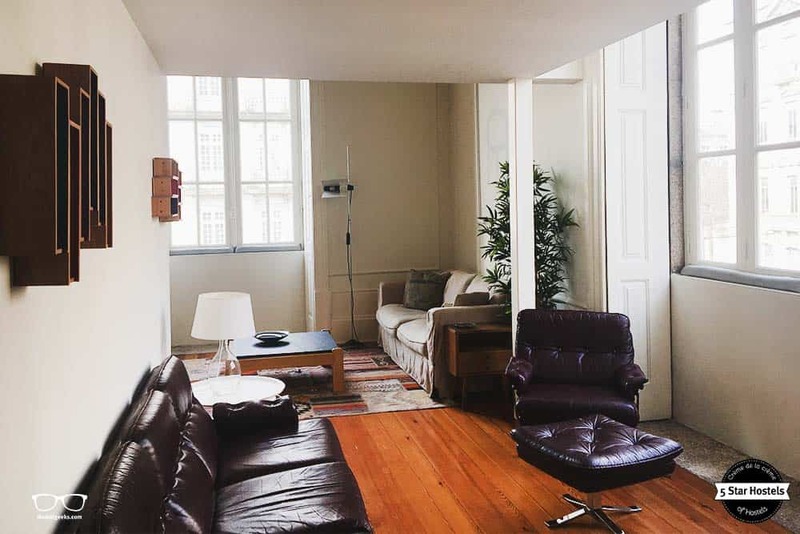 On each floor, you’ll find a common area with kitchen facilities. On the top floor, you’ll find the breakfast and common areas. 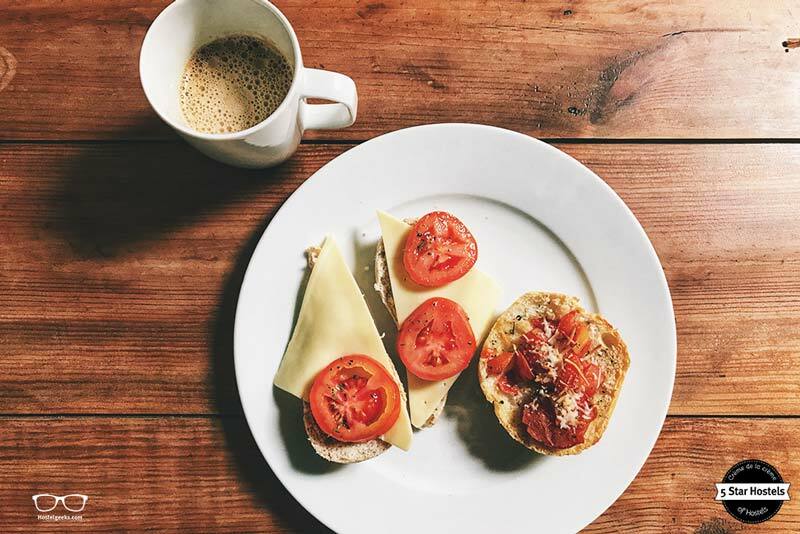 The included breakfast includes juice, coffee, fresh tomatoes, homemade bruschetta, crunchy fresh bread, mature cheese and a few cold cuts. It is served on every floor since every floor has a kitchen. If there are not many guests like in low season for instance, they serve the breakfast on the top floor, so all guests can have breakfast together and mingle. For the vegetarians: the breakfast is perfectly separated, so you can eat the cheese without having it touched by the meat here. This we want to mention, since still a few hostels do not separate the cheese and meat plate. The Passenger Hostel is the best hostel in Porto for Vegetarians! Coming soon, there on the top floor there will also be a stunning bar with a secret place. 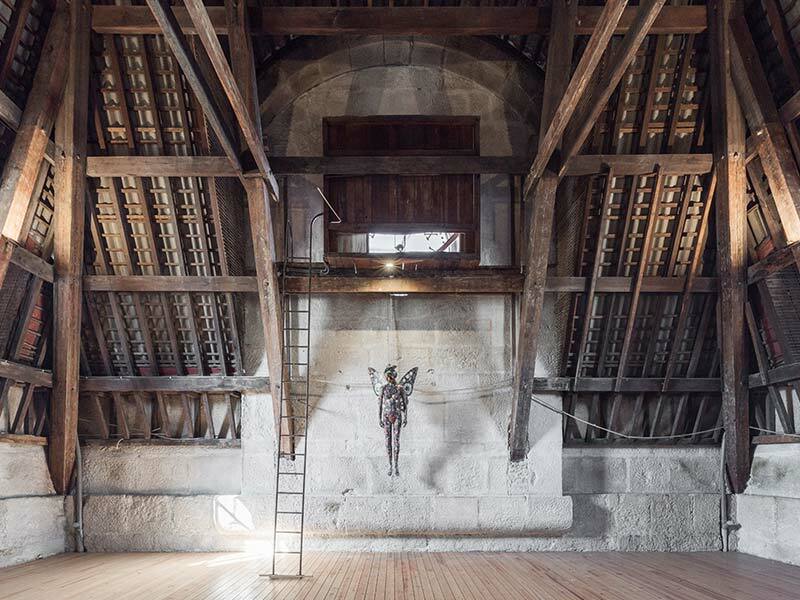 A very special place, the clock tower, will be used as an Art Gallery or for special events. And yes, this is the actual clock tower of the train station. You know the one that shows everyone walking what time it is. Stay tuned on the Passenger Facebook website for details about the events! UPDATE: The underroof Bar is ready! 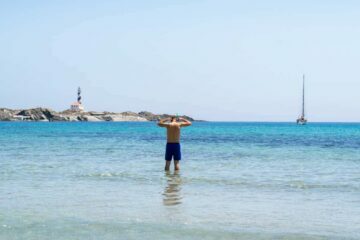 WOHOO!! So now you can hang out in the hammock, and have a drink at the underoof bar. This is the area right next to the breakfast area. Oh, and you can challenge your hostel mates for a round of Beer Pong. Anna&Matt inspecting the clock tower. What kind of events would you throw here? 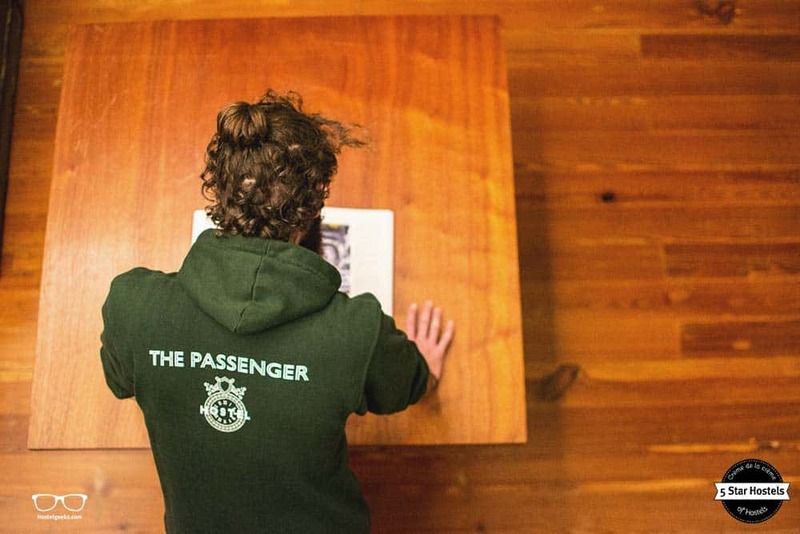 The Passenger Hostel offers both private rooms and shared dorms. The suite also has 2 additional private rooms complete with ensuite facilities. The other rooms have a shared bathroom. Make sure you pay attention to this when booking your rooms at the Passenger. Below a photo of the private twin room. Fancy, isn’t it?! Let’s talk a bit about the suite. Here a few photos of the impressive suite. 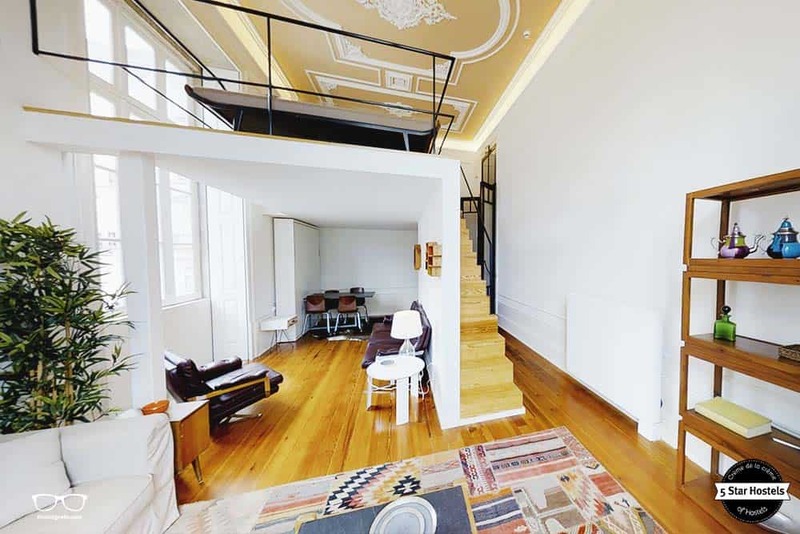 This double-floored room could be easily a luxury loft, or a room in a 5-star hotel. 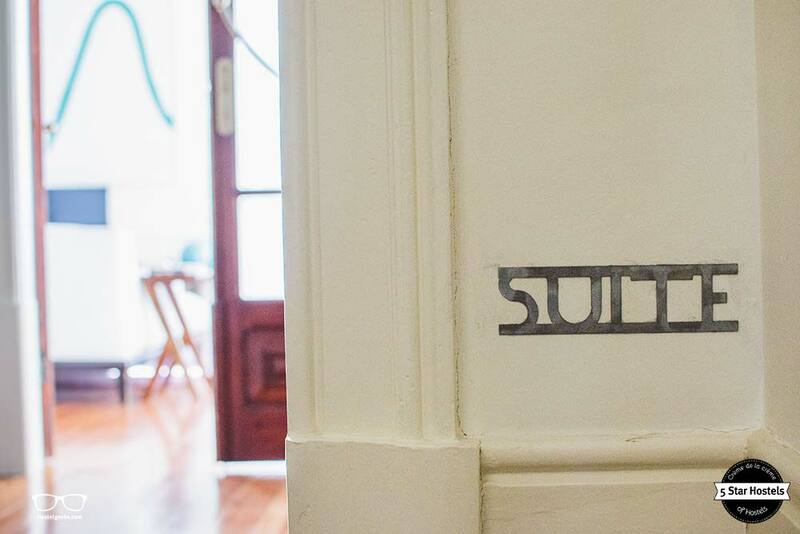 This suite is the most luxurious private room at a hostel we’ve ever seen. From the window, you can see the church Sant Antonio dos Congregados or spot the Muralha Primitiva. There is a common area on the ground floor, which has space to relax and a sofa perfect for kicking back and reading. And it can fit a family, too! 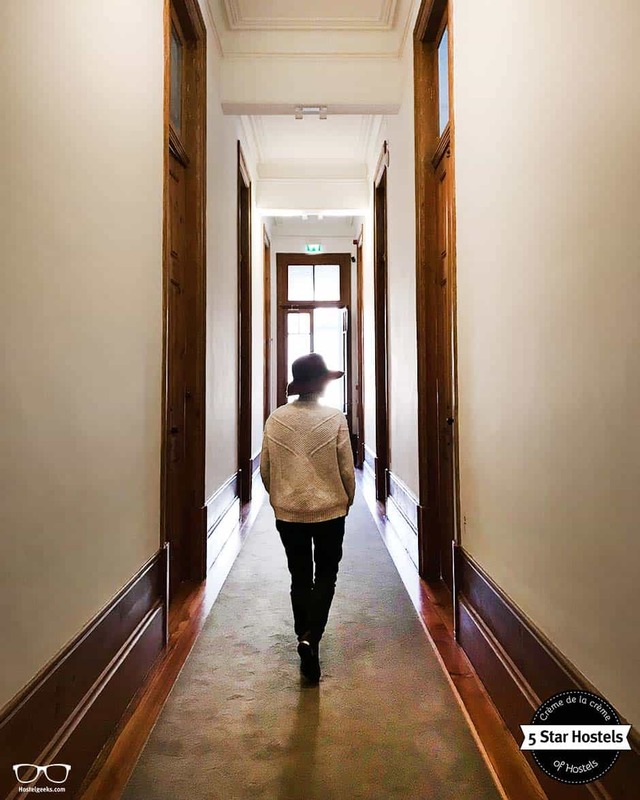 If you’re looking for a romantic city break, then go with Porto and opt for the suite at The Passenger! Alright, now what about the dorms? Dorms are rooms where you book a bed in a room shared with more fellow travelers. The dorms at the Passenger are extremely spacious. You can go for 10 bed dorms and 12 bed dorms. As they are spacious and the ceilings are very high, you won’t feel like you’re sharing your room with 8 other travelers. In the biggest dorm, the 12 bed dorm, they even have sofas, from which you can enjoy views of the Sant Antonio dos Congregados church. 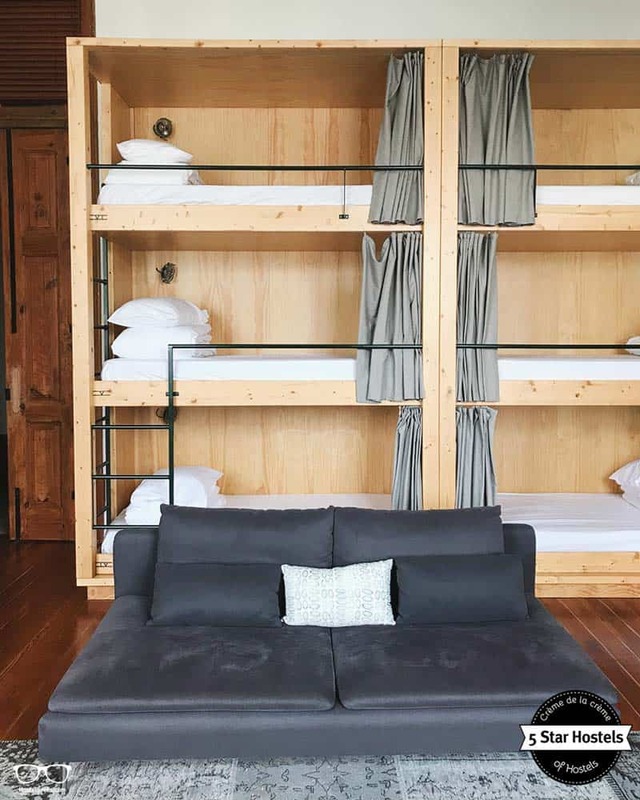 Unlike most hostels, the dorms come with wooden 2 or 3-storey bunk beds. Handmade and well designed, they are very stable bunk beds. Each bed has its own curtain for adding some privacy to the dorm experience, as well as power sockets to charge all your gadgets and an individual light. There is also a female-only dorm. As always, you can book entire dorms for a group as a private room. Just contact the hostel for this request directly. Read: Different hostel room types. 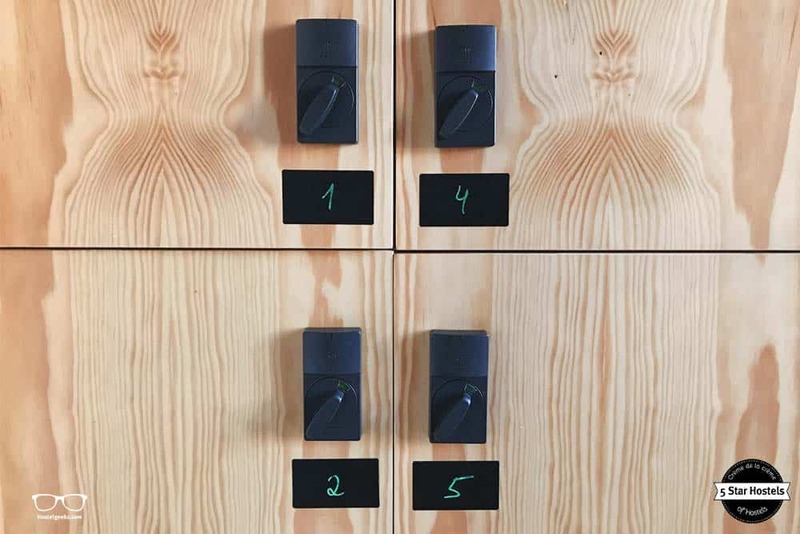 We always recommend using lockers when staying at hostels. Although most hostels are super safe, using the lockers reduces the already small risk that someone takes your belongings. At the Passenger, they care about comfort and safety. They designed big, spacious lockers with enough to store even a large suitcase. Also, the lockers open with your own bracelet you get at check-in. You can open the locker using this bracelet. At the same time, the bracelet serves as your key to your floor and the hostel when reception closes at midnight. Good to know: As said, we consider most hostels very safe. However, using lockers is always recommended. 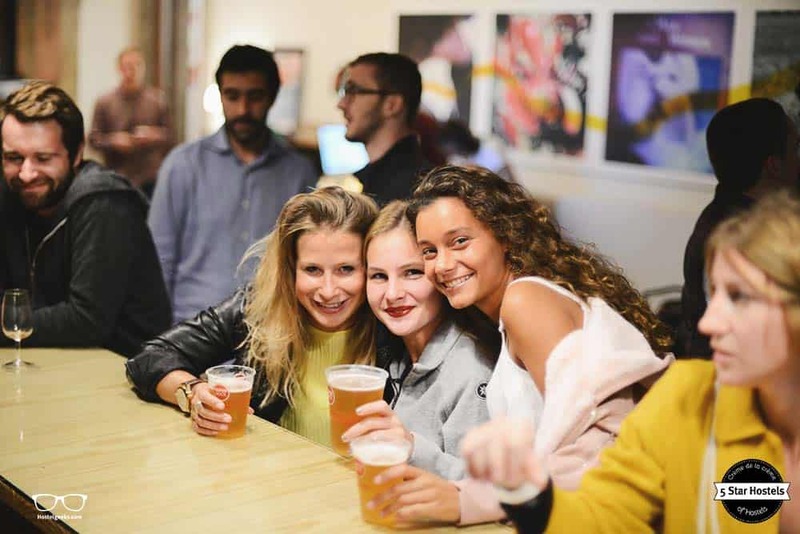 Read: our top 10 safety tips for hostels here. This is one of the few hostels you do not have to use your own padlock with you. However, we still always recommend to bring one. You can still use it for your backpack. All dorms can be found on the second floor. When opening the main door to the floor with your bracelet, you’ll find the dorms on the right hand side, while the showers and bathrooms are on the left hand side. The bathrooms are separated by gender. Make sure you walk into the correct one. One traveler complained there were only mixed bathrooms. Well, he wasn’t paying attention and just used the bathrooms he wanted to. Well, now you know: There are only separate bathrooms! 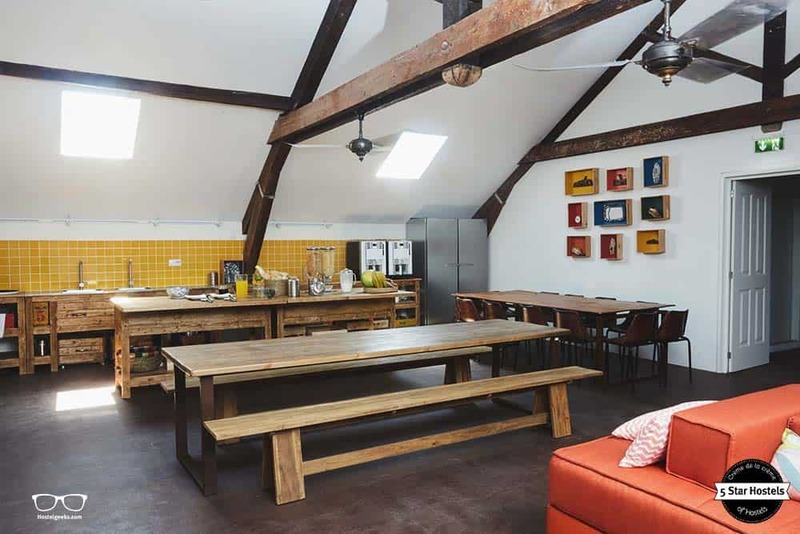 The new generation of hostels is based on the expectation of an experience. It all starts at check-in. The team welcomes you to the main lobby on the ground floor. After a successful check-in, one of the staff walks you upstairs. She or he will show you how your cool bracelet works, a.k.a. your key from now on. They lead you through the hostel, show you your room and bed, your locker and the common and kitchen area. We like this extra bit because it’s like a friend showing you around their home. If you have any doubts about the hostel or city, this is the perfect chance to ask them. 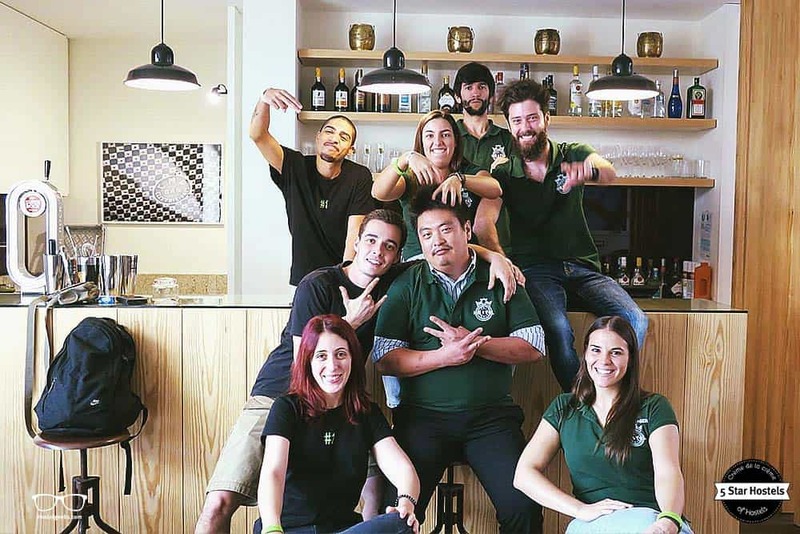 The team behind a hostel is a crucial part of the whole hostel experience, and the Passenger does an exceptional job. Ask them to show you the library room! It’s still brand new and quite empty, but the hostel comes with a library where you can leave books you’ve already read. This is a real dream for book lovers: a library waiting to be filled with books and stories. 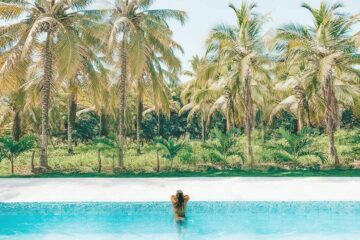 If you’re interested in sustainable tourism and travel, this part is for you. We at Hostelgeeks think it’s important to opt for local, green tourism options and support the local economy. That’s why we always look for the green and sustainable side of a hostel. The Passenger Hostel is also special in this way. When the building became available, the local city hall started an application process. They wanted to give this space to someone for a unique project, something that would keep the structure and add value to the city. 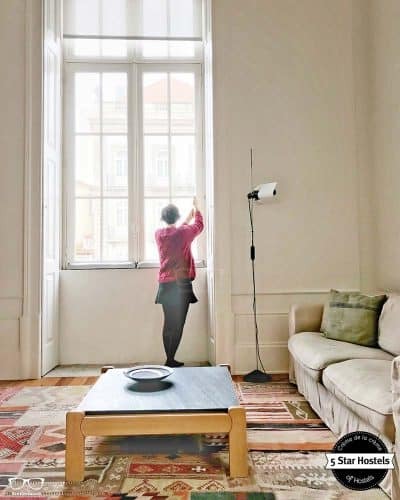 Rita, the owner of the Passenger Hostel, presented her brand-new concept and project. 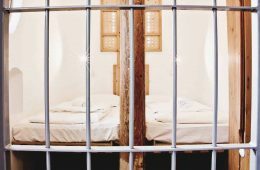 The city was convinced that a new 5 Star Hostel was the best way to go, keeping the building, renovating it where it is possible and giving it a new life. Funnily enough, Rita was not even aware of the 5 Star Hostel standard. She planned the hostel in the best way possible, with great technology, stunning design, and Eco-friendly amenities. The hostel aimed for the highest possible standard, without even looking for the 5 Star Hostel Award. 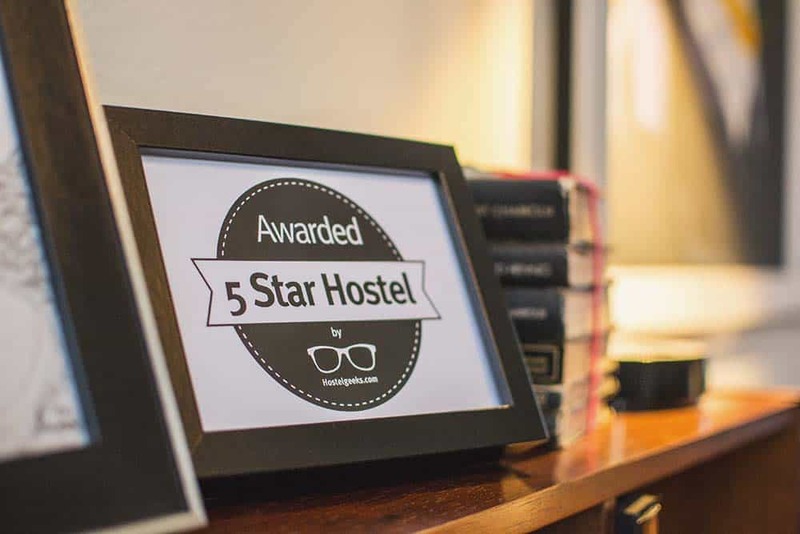 Many hostels nowadays start their concept and planning process with implementing features, amenities and standards they found in other 5 Star Hostels. The building itself kept its original design. 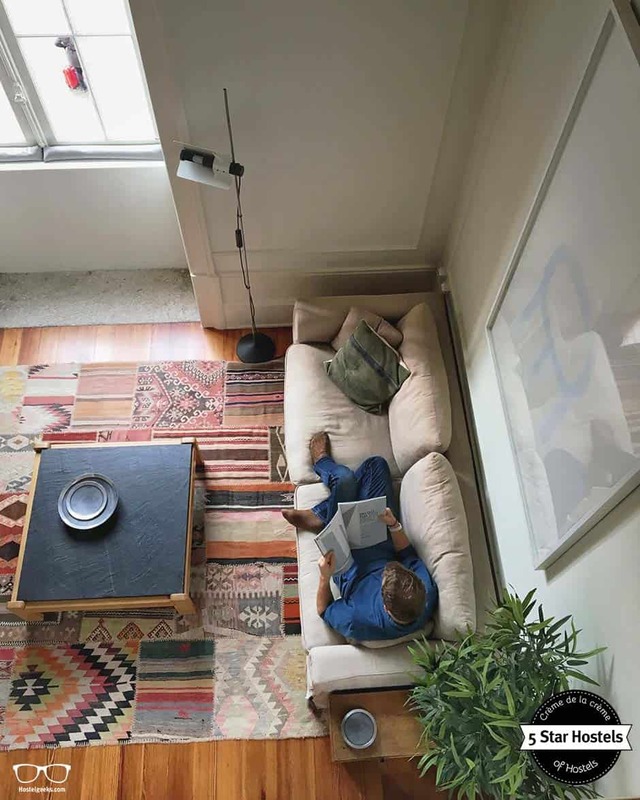 The modern tweaks combined with the old doors, high ceilings and large windows give the whole space a one-of-a-kind look and feel. The corridors have a real Cinderella feeling. Of course, maintaining such a big building can be very energy consuming. That’s why they have sensor lights even in the private bathrooms. There’s no need to think about switching off the lights in the corridors or bathrooms. 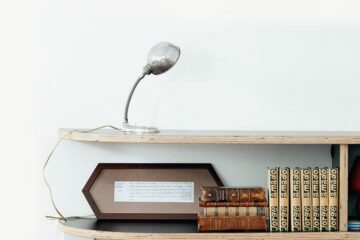 Many decorative pieces are actually upcycled elements. Have a look at the cute boxes on the shared kitchen on the top floor; they’re actually wine boxes with vintage plates and pieces. Notice the beautiful lights next to the sofas? They were once lights in an operating room. A new use for old elements. Rita was also concerned about the waste and energy consumption. That’s why she chose Dyson appliances – it’s not only for the sheer wow factor. 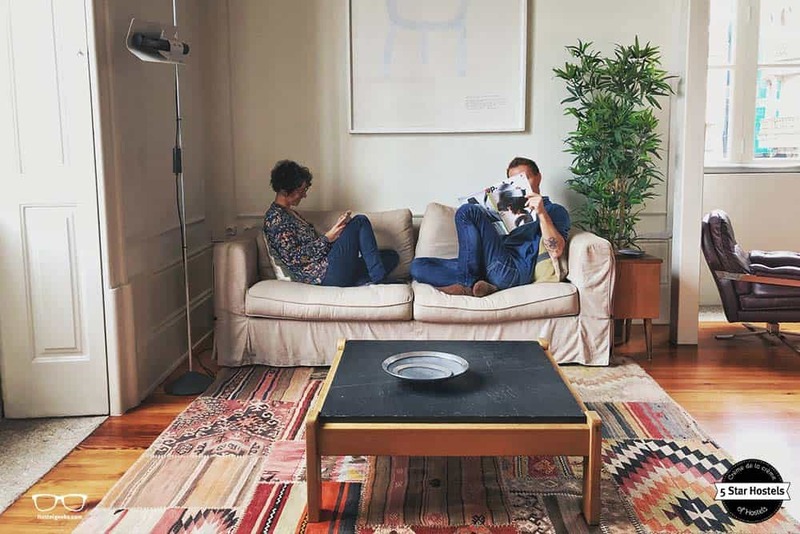 Dyson appliances add power and offer energy efficiency. The hostel shows its commitment to the environment in any way possible, and Rita wanted to do her best with every single detail. 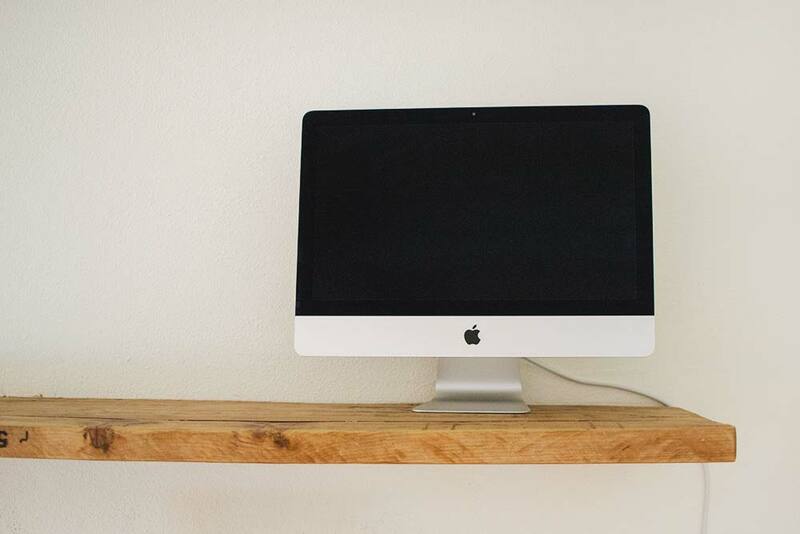 Besides the Dyson products like hair dryers and such, the hostel also puts out Macs for free usage. Just ask the team for the mouse and keyboard. 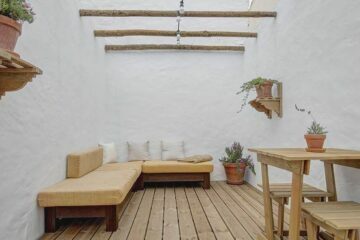 You can use it for free for instance to plan your itinerary with the best hostels in Portugal. A fantastic hostel stands or falls by the performance of the team behind it. It’s a crucial factor not to be underestimated. The team, after all, gives the hostel its face and vibes. 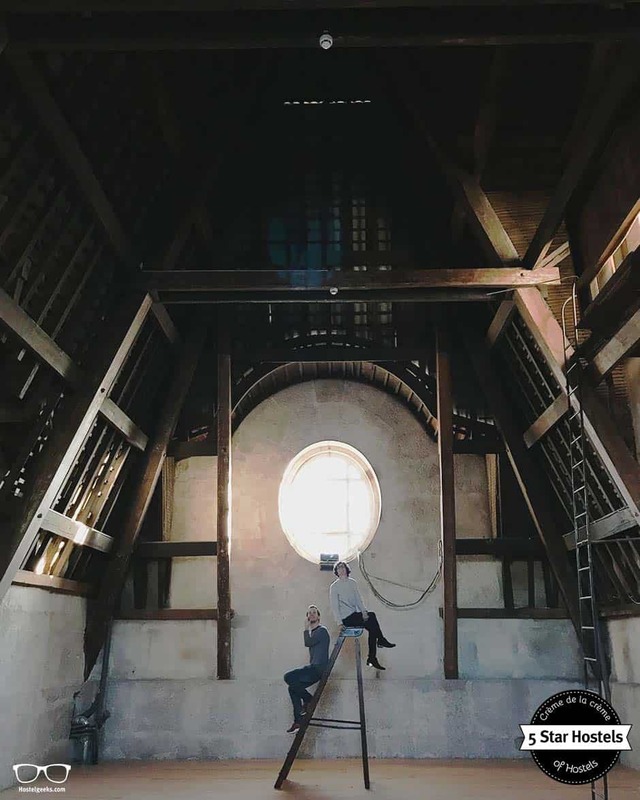 The young team behind the Passenger Hostel is willing to show you not only the hostel, but also their city. They are from Portugal and will be happy to talk to you about cute places around Porto, the area, places to go out, eat, go out, or even their favorite secret places in Portugal. Just approach them and ask them. They love to meet new people from around the world and you notice they greet you warmly and sincerely. Old hostel guests that now live in Porto come and visit them often. You can find them playing games with hostel games, or just chatting about life. Quick note: We’ll say it over and over again, the most beautiful hostel in the world is nothing without good vibes. It’s the crucial part of the overall hostel experience. 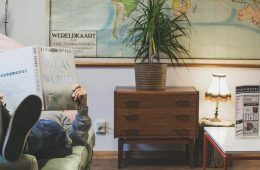 With the combination of social character, uniqueness, great staff and comfort, a hostel can succeed on many levels. Who stays in the Passenger Hostel? The Passenger Hostel is the perfect choice for female solo travelers looking for a safe, fun, design-led place. The same goes for couples, small groups of friends and adults of every age. 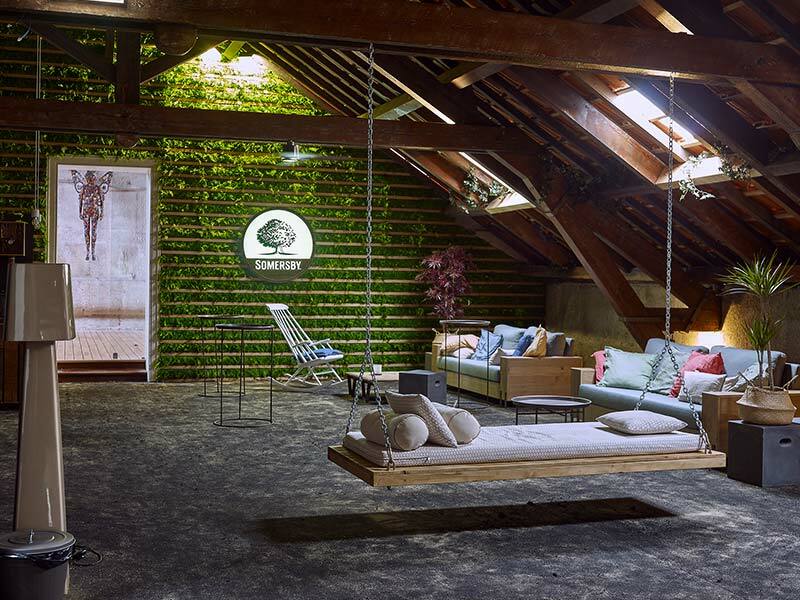 This is a hostel for the luxury, young-minded traveler seeking a social hostel experience. The private, functional rooms are a great option for groups of friends visiting Porto. You’ll be in top-notch accommodation with friendly vibes. And, you’ll be able to meet new people from all around the world. The guests here are not on a shoestring budget. Nevertheless, it’s well worth it even if your budget is supposedly smaller. 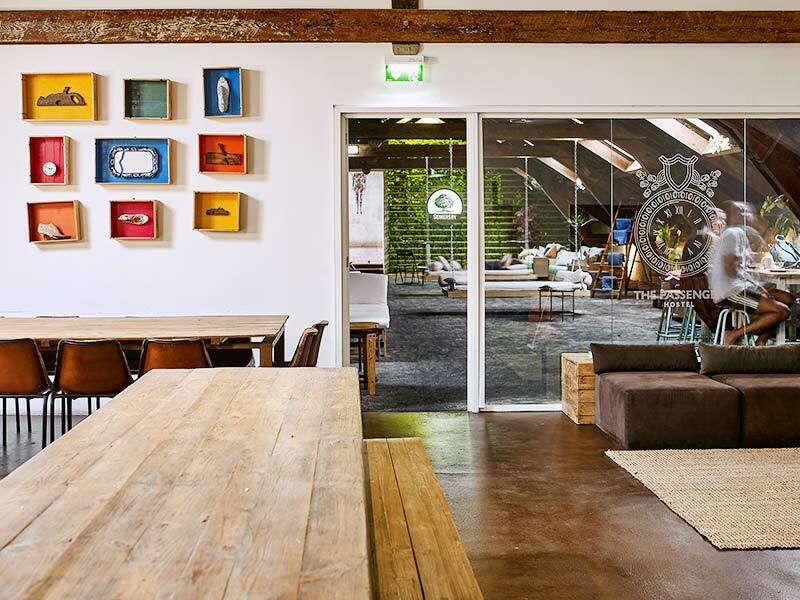 The hostel includes free breakfast, cool vibes, awesome design and an unbeatable location. 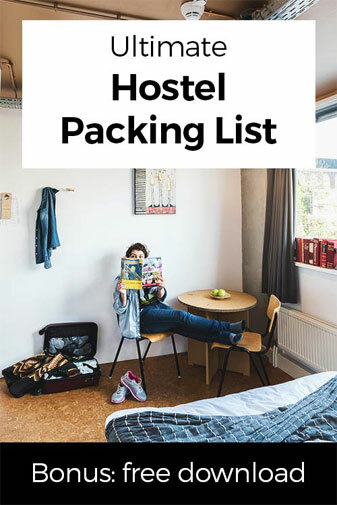 If you or one of your friends still have any doubts about staying in hostels, then give this one a try and you won’t go back to boring hotel rooms. “This was the first hostel I’ve ever stayed in. If all hostels are like this, I will only stay in hostels from now on!” – was one reaction by one of the many guests. Fancy a promo code for The Passenger Hostel? Who doesn't?! Now, there is no easy way to say this: Currently we do not have a valid discount for The Passenger Hostel. We are working on getting more promotional codes for The Passenger Hostel in Porto and all the other top hostels we reviewed for you. Check out the official website of The Passenger Hostel. 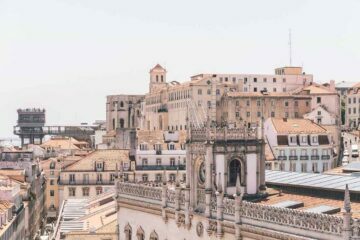 Update April, 2019: How to find flight deals to Porto? Still looking for cheap flights to Porto? We LOVE Kiwi.com. You can search here with a so-called "radius search". It is incredible easy to find sweet flight deals to Porto and area.